Enjoy the fresh scent of pure essences even while driving! The Car Scenter plugs into your lighter. 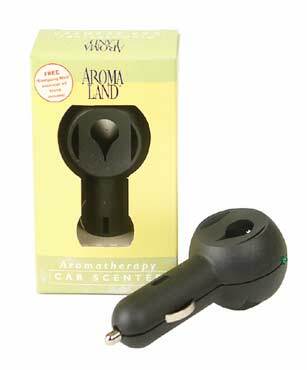 Simply saturate the cotton pad with 10-15 drops of your choice of essential oil, insert into the Car Scenter and plug into your car lighter. Use more or less essential oil to control the intensity of the aroma. Each diffuser comes with 10 reusable cotton pad(refills available for purchase). Re-moisten the pad as often as desired. Safe, red light indicates power on.